close up look at the detail of this flower!! forgot my camera today..... I'll submit the pictures of my new blooming baby tomorrow!!!! Very exotic , I love the coloring. WOW now that is really exotic!!! 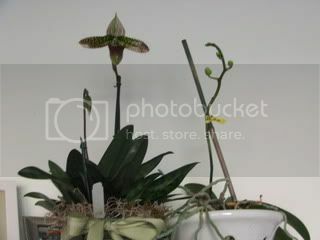 It looks similar to some of the pitcher plants. Is it easy to grow or does it require special conditions? 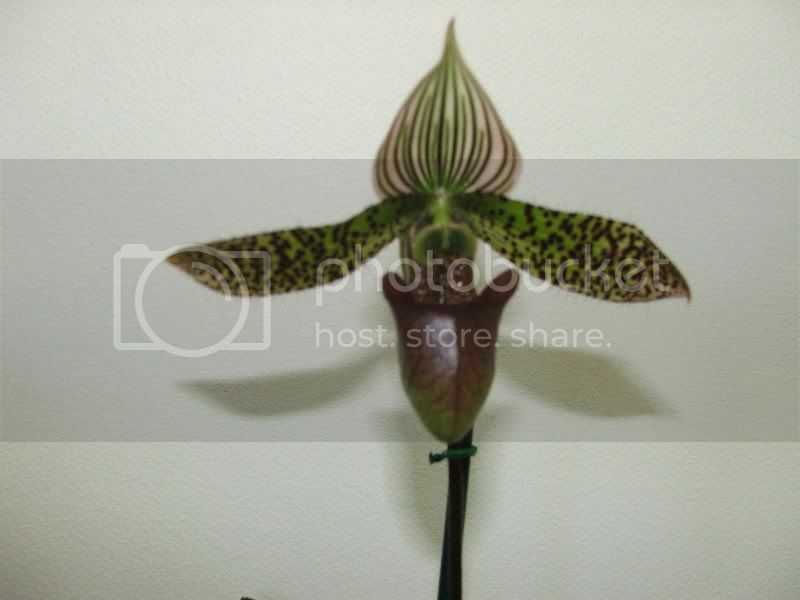 not sure if it will require any special care...yet currently trying to research this variety. 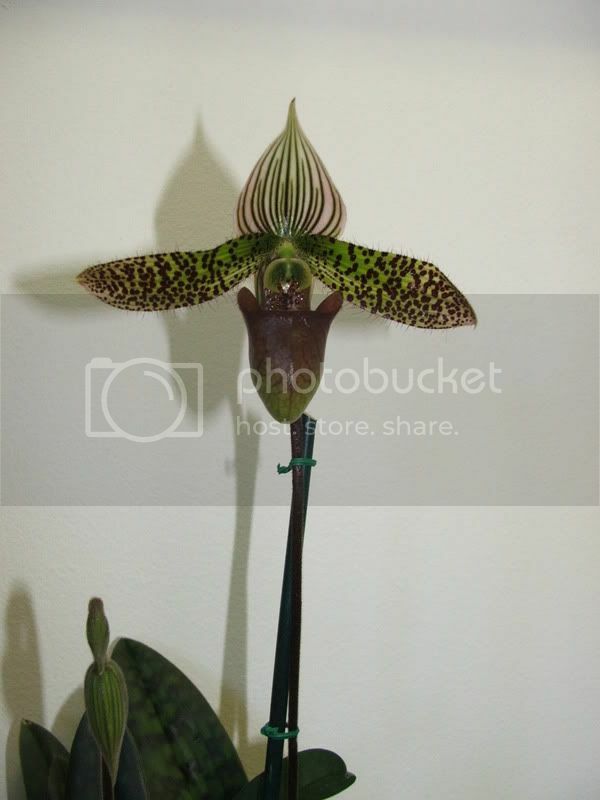 Is that perhaps a Paphiopedilum - the slipper orchid - from the Maudiae group or the Cochlopetalum group?